Welcome to a typical German family! Let’s see what everybody is called. Let’s start with the parents. Parents are called „Eltern“ by the way. Eltern. Father and mother are very similar to the English words, they are „der Vater“ und „die Mutter“. Always learn the article with the words, that makes it so much easier later on! Then there is the child, „das Kind“. Das Kind. Very important in almost every family are the grandparents. „Die Großeltern“. Die Großeltern. They are „der Großvater“ and „die Großmutter“. Kids often call them „Oma“ and „Opa“. Oma is Grandma, Opa is Grandpa. Maybe the kid has siblings. Siblings are called „Geschwister“. Die Geschwister. There is the sister, „die Schwester“, and the brother, „der Bruder“. Schwester und Bruder. On Sunday there will be a visit by an uncle. „Der Onkel“ is coming to visit. He is bringing his wife, „seine Frau“. Die Frau. Or to be more precise: Die Ehefrau – if they are married. He is also bringing his kids, who are the cousins of the kid we are talking about. Der Cousin und die Cousine. There are German words for the cousins, but they are very outdated and we use the French words with French pronunciation. Cousin und Cousine. Let’s make it a little more complicated. If I have a sister and she is married, then her husband is my „Schwager“. Der Schwager. If I have a brother and he is married, then his wife is my „Schwägerin“. Die Schwägerin. If I am an aunt myself, eine „Tante“, die Tante, then I have nieces and nephews. They are called Nichten und Neffen. „Die Nichte“ is the niece and „Der Neffe“ is the nephew. I went on a trip to Germany in April. 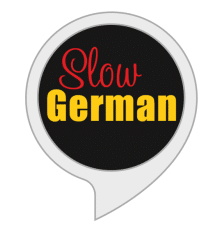 I can speak basic English, but I want to learn German and now I want to start. I would like to travel to Germany again if I have a chance. Liebe Susanna, ich bin nicht sicher, ob ich Dich richtig verstehe. Ich kenne keine anderen Worte für Nichte und Neffe. Hallo Annik, so interessant, aber ist es richtig? Ich habe gehört, Nichte und Neffe, wenn von Oma/Opa und Klein oder Gross sind, benutzt mann andere Wörte..
Kannst du bitte uns es erklären? I am very sorry, the link was wrong. It should work fine now. I just started listening, I am an absolute beginner.